One of the most stressful times in a person’s life is when they move. Whether that move is into your first apartment or your dream home, you want to make sure everything goes off without a hitch. Here are some smart moving tips you can put into action to ensure your move will be as smooth as possible. The average move comes with 30 days notice. That means you have 30 days between the time you signify your leave and until the time you actually have to leave. That is plenty of time to pack up everything you own. The goal would be to do a few boxes every day. That way you won’t be overwhelmed during that final week. You certainly don’t want to spend the night before or the day of the move scrambling to throw things into a box. That’s have stuff gets broken or lost. The last thing you should pack is all your clothes. That’s because you could use them for packing materials. You want to make sure every box you pack is full. This doesn’t necessarily mean making it heavy. But instead filling up the space so that a box won’t collapse on top of another box. That’s where your old clothes come into play. Instead of bubble wrap, you can wrap your breakables in T-shirts and socks. After all, they’re all going to the same place! You can get a jump on organizing if the things you are going to keep in storage at your new home will be packed in plastic. This works great for winter clothing, sporting equipment, toys and decorations. At your new place, those plastic boxes can go right onto a shelf in the garage or down the basement. Instant organization. As you empty out your current living space, you literally have to make a decision about every single item in that space. There’s plenty of stuff you’ll want to hang onto but there could be just as much unwanted clutter that you know you’re never going to use again. That holds true for clothing, electronics and even furniture. Instead of bringing that with you to your new space, you should turn it over to Junk King Boston. These professional junk haulers can come to your property a few days before you move or even the day after you move. 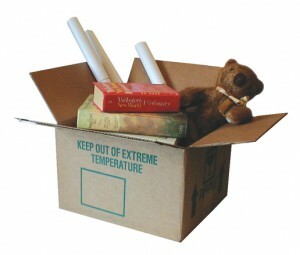 Whatever Junk King takes away you won’t have to unpack. It’s always a smart move to hire Junk King Boston before your next big move. This entry was posted in New Hampshire Junk Removal and tagged Junk King, junk removal, moving, packing on October 22, 2017 by Junk King. Last updated October 22, 2017 .